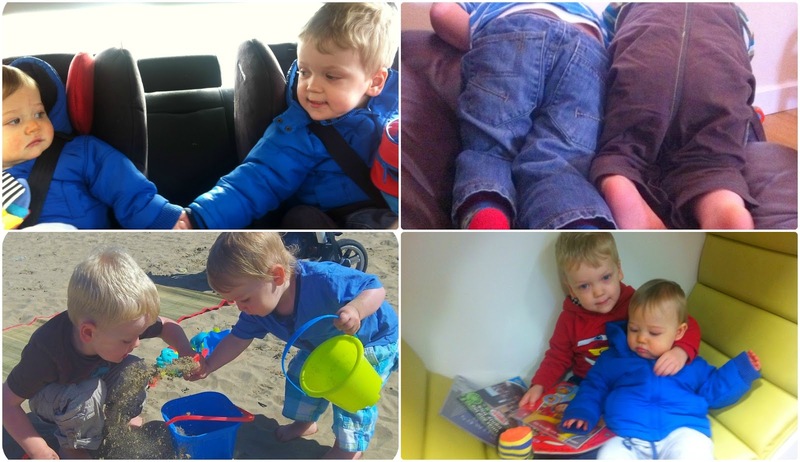 This year has been another massive learning curve for me as a parent and as mummy to two. As I sit here thinking back over the last 12 months, and looking through all the photos I have taken, I certainly have some wonderful memories of the happy times I have spent with my children in 2012, which bring a smile to my face and make me appreciate having them in my life. However, as much as I love my boys and spending all my time with them, I have to admit that I have also struggled somewhat at times this last year. Its been bloody hard going at times and sometimes I feel ashamed that maybe I didn’t always handle situations very well. I don’t feel I am bad mummy all of the time, but I have felt I have been more often at times this year. This year saw me turn from someone who occasionally raised her voice at her children, to suddenly finding myself shouting a lot more, and I honestly hate myself for it. However, its like once I started getting all shouty, its like now I cant stop myself. I know that shouting gets you nowhere and I have tried to be all calm and talk in a lower tone, but I have found myself recently unable to remain patient and instead I have just raised my voice more, and I know, I really know I have to stop, but I don’t know how to. I am caught up in some kind of shouty vicious circle and cannot see a way out. I don’t shout all of the time, I hasten to add but it is more than I would like. Its just that this was also the year of Burton turning three and suddenly from nowhere the terrible threes exploded into our family and my little boy went completely irrational and had attitude! It was how I would imagine living with a teenager to be! He wouldn’t not do as he was told, he was defiant, he answered back and would just go off on one. It was like living with a ticking time bomb and these tiresome threes, a phrase suggested to me by a friend of mine, lasted for about three months over the summer and it was exhausting and despite other people reassuring me that this was ‘normal’ and just a ‘phase’, I still had moments where I wondered if it was my fault why he was behaving in this way. For much of the time I was home alone while OH worked away three days a week, which I wondered at the time if it was this which contributed towards Burton’s sudden change in behaviour, and I am not trying to make excuses but I think I struggled to cope. Of course throughout all of this Jenson, who is always watching and copying, picked up some bad habits and whenever I told him off he would hit me! In fact he still does and despite being told off and made to spend 1 minute on the ‘naughty step’ he still hits me! Uh Oh parent fail right here! I dont know why he does this and why it is me he only does it too. He is a mummy’s boy, more so than Burton ever was, but that doesn’t give him the right to strike me! And , yes there is more evidence of my rubbish parenting skills, unlike with Burton where I tried my hardest not to say ‘no’ to him too many times because I remember reading somewhere that this can end up being one of the first words a child can end up speaking, guess what word Jenson says the most? Yes, its ‘no’ *sighs*. I suppose with me telling Burton ‘no’ a lot I didn’t think about the consequences of this on his brother! Its not been like this all year of course, we have had lots of fun and enjoyed lots of outdoors adventures together. I have enjoyed seeing my two boys grow more fond of each other, and their brotherly bond is wonderful to be witness to and it makes me very happy and proud. Yes, they fall out and we have lots of tears but we also have lots of laughter and smiles and *this* is what makes being a mummy amazing. It is hard managing two energetic boys, and it is tiring and frustrating at times but I knew that being a parent wasn’t going to be easy and there would be good and bad times. I think that these last 12 months have taught me that I need to remain in control more, be more assertive, be calmer and show the boys who is boss. BUT also to not raise my voice as much and get to grips with a reliable and consistent discipline and punishment/reward system that works for all concerned and to stick to it!! I must remember who is the grown up too and if I am getting frustrated to try not to let it show, and maybe even walk away if it is getting on top of me. I must try harder to be a better mummy! Remember a flashback can be from any time whether it be yesterday, last week, last month, last year or yesteryear! It can be a flashback of your own, your children, your partner or your friends. And if you don’t want to write a post, then just link up a photo with a date. If you don’t have time to write a new post, no problem simply link up a post you have already posted. I think you’re an amazing mum Jenny. You have two little boys who are going through so many phased all at once…impending terrible twos and terrible 3s. It’s so hard to manage just one. My niece is same age as Burton and when z and she are together I can go bonkers some days. She knows her own mind and z us going through the “miiiine” phase! I feel like I can be shouty with just the one!! From what I have seen and read you are an amazing mum who loves her family so much. We all have times when we shout and nag a lot and I know it gets me down sometimes. You have done some amazing things with your boys this year and I’m sure you will have another fantastic year next year. I think you are a great mummy. All the stuff you do with your boys; you can see in your photos how much they enjoy themselves with you. It is hard going sometimes…show me someone who says they don’t have bad days with their kids & I’ll show you a liar. You are a wonderful mummy but I do understand what you mean. I’ve lost count of the number of times I have called myself a bad mummy this year! Harry is 2.5 and this has by far been the toughest year of parenting for me; what joys I have to look forward to in the next year as he grows and develops more! I think the fact that you shout and get frustrated doesn’t make you a bad mummy. I really look up to you and wish I was as good as you. It can be tough and I find myself shouting a lot at times, mostly after a really bad night sleep. I also find it too easy to give in sometimes or to bribe them (Charles really). Hello everyone, it’s my first go to see at this web page, and paragraph is truly fruitful in favor of me, keep up posting these types of articles.